Don’t let a long flight or a loss of signal get in the way of your music and video streaming: Just about all the popular services let you cache downloads for offline use, and Netflix just upgraded its download mechanism to be smarter—downloading the next episode of shows you are watching and automatically deleting the old ones. Here’s how to take advantage of it, and find the features in all the other streaming services you use too. In all of these cases, you’re going to end up with a proprietary, DRM-locked download that’ll only work in the app it’s intended for and only for a limited time—so you can’t download the whole of Orange is the New Black and transfer the videos to your computer. They’ll also only work in actual apps—so you’ll need a phone or tablet to take advantage of offline viewing. Netflix downloads have been with us since 2016, though what you can download depends on the rights and licenses Netflix has worked out with the content providers. All the Netflix Originals can be downloaded for sure, but everything else is a bit hit and miss. Netflix offline downloads just got smarter too: If you’re binge-watching a series, the app will download the next one in advance, and delete older recordings as they’re viewed—it means you should be all queued up for your next period of patchy wifi. The feature is rolling out now for Android devices and coming later this year to iOS. 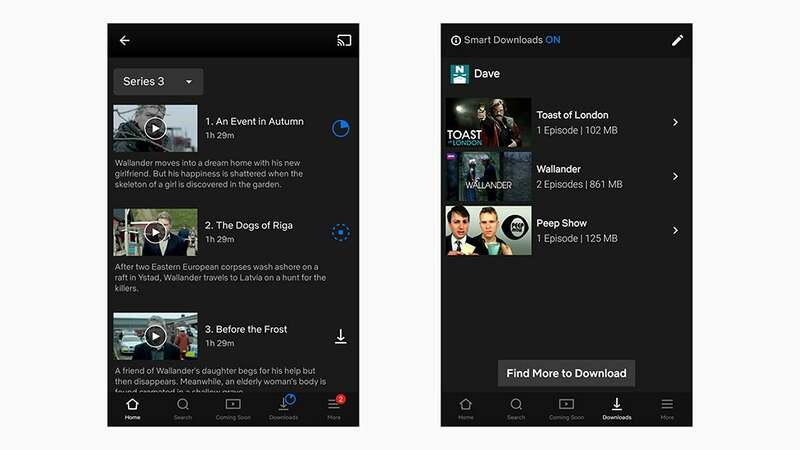 Tap through on any series or movie and if offline viewing is available, you’ll see a download icon to the right—tap on this to download the video. At any time you can tap on the Downloads tab at the bottom to view and delete cached content. When you’re not taking advantage of free shipping as part of your Prime membership, you can tune into a wealth of content on Amazon Prime Video—and much of this content can be saved locally to a device and watched offline. As on Netflix, just look for the download icon (a downward arrow) next to movies and shows (in the case of shows, go into the actual episode list). Also just like Netflix, you’ll find that some titles can’t be cached for offline use—it depends on the licensing rights. One useful touch is the option to choose the quality of your downloads (and thus how long they take to download and how much room they take up). You can get at your saved videos by tapping the menu button (top left) and choosing Downloads. If you’ve stumped up the cash for YouTube Premium (previously known as YouTube Red) then you have a way of legally downloading videos that’s all above board. YouTube Music Premium is included, so you can download audio-only tracks too. 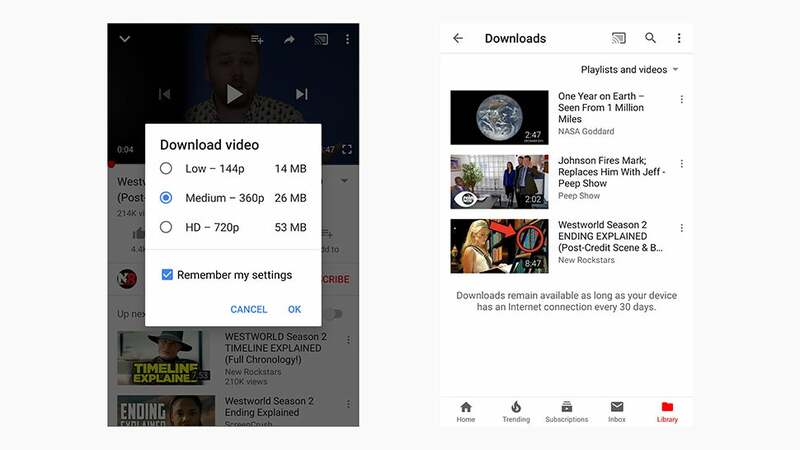 You can download just about everything (we haven’t seen any significant restrictions yet)—just tap the Download button under any video, or tap the More button (three dots) next to a video thumbnail and choose Download. Offline videos are saved for a maximum of 30 days without an internet connection, or forever if you keep regularly connecting to the web. As on Amazon, you can choose the video quality for your cached content. To find your downloads on your next subway trip, head to the Library tab then tap Downloads. To remove a file, tap the More button (three dots) then Delete from downloads. Those of you who make use of Plex to set up your own personal Netflix can save your videos (and music) locally to a device easily enough—though it’s not included in the free plan. You’ll need the Plex Pass subscription to take advantage. 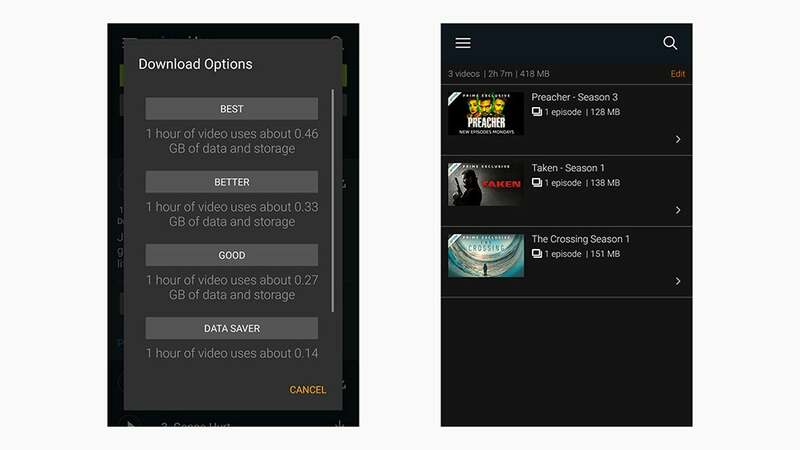 Once you’ve paid up, and got the Plex apps configured (a server on your computer, a mobile app on your phone), open up the mobile app and tap through to a movie or show. You’ll see a small download icon (a downward arrow)—tap on this to start the download, then Save. 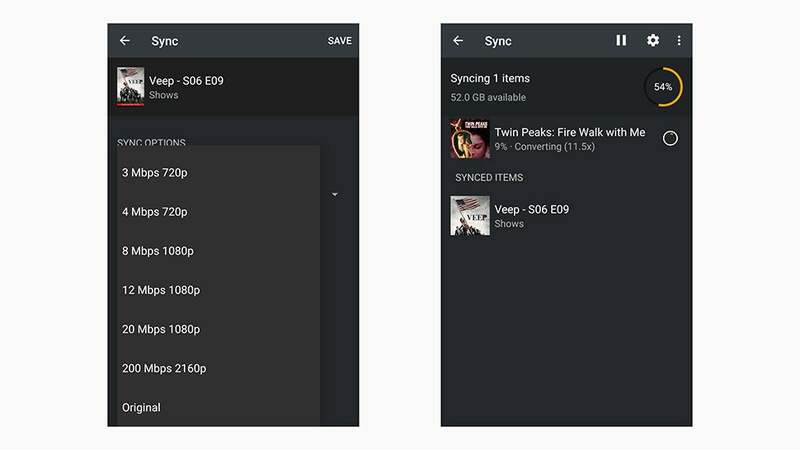 In some cases you can choose the video quality, and Plex will actually re-encode the files if required. To find your downloads, tap your avatar (top left) then choose Sync from the menu. You can remove videos from here, restrict the use of mobile data for syncing, and put limits on how much of your device’s storage space can be taken up. If you pay each month for a Spotify Premium subscription then you can easily sync playlists and albums to your various devices. While you can stream songs on as many devices as you like, you can only cache them on three at any particular time. To see the phones, tablets and computers you’ve cached tracks to, head here and log in. If you see a device you’re not using any more, or that you want to replace with something else, click the Remove button on the right. Downloading songs is straightforward: You’ll see a Download toggle switch at the top of every playlist and album, which you can toggle on to start the download. Tap Your Library then the settings cog (top right) to set download quality and to enable Offline mode (where only downloaded songs are shown). Apple Music has its heritage in iTunes and music downloads of course, from back in the days when you actually had to sync songs to a phone from a computer. That local sync is still available, but you can also cache your streaming playlists too. Up to 10 devices can be connected to your Apple ID. As you make your way around the app, you’ll notice small download icons, which look like a cloud with a downward arrow coming out of them. If the symbol doesn’t appear, you need to add the tune to your library first—which is simply done via the Add button. The music playback for your selected albums, playlists and songs will continue without an internet connection. If you want to see all the music stored on your device, tap Library then Downloaded Music. 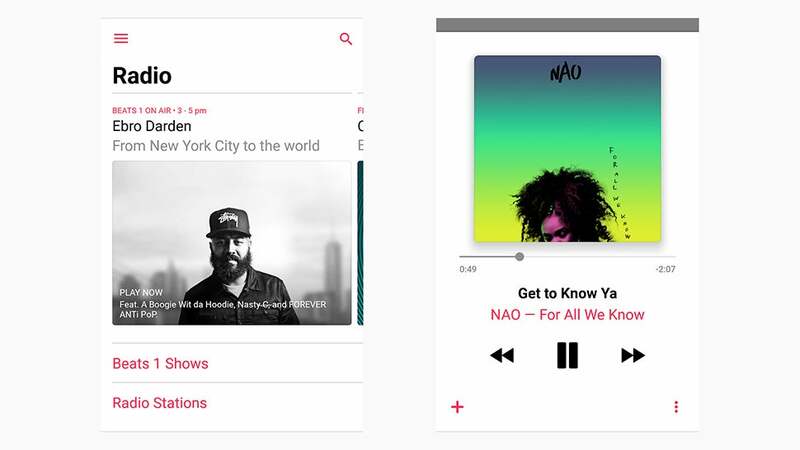 These two apps will eventually be rolled into each other, but for the time being they remain separate, and you can download tracks for offline listening in both. 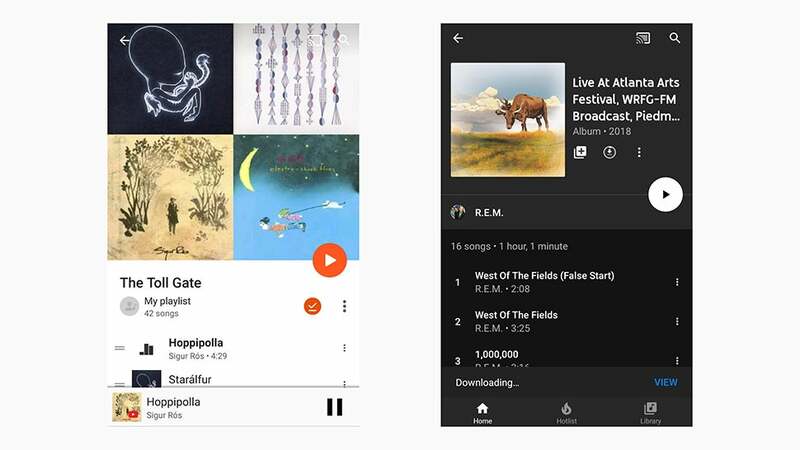 In Google Play Music, you can save playlists or albums locally by tapping the download button (the downward arrow) on each individual page, or by tapping the More menu (three dots) on the browsing screen and picking Download. It works the same whether these are songs you’re streaming from Google’s catalog (if you’re a subscriber) or that you’ve uploaded from your computer. In the dedicated YouTube Music app, you need to be a paying member to enable the download functionality. On playlists and album pages, you’ll see a download icon (a downward arrow)—tap this to save the songs locally. You can also tap the More menu (three dots) next to an album or playlist and choose Download. 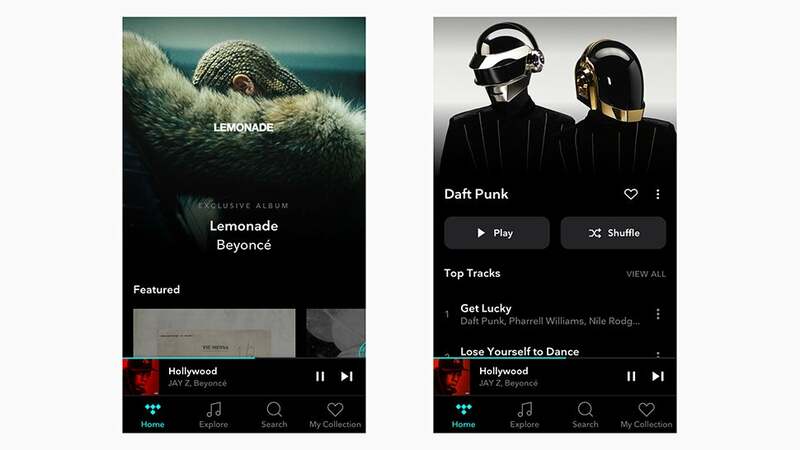 Tidal prides itself on its high-fidelity music, and if you’re on the go with a limited data plan or limited signal, then you can play your tunes straight from your device rather than the cloud. A total of three devices can be used offline simultaneously. Tap the More menu (three dots) to the right of a playlist or album then pick Download, or go to the actual page for the playlist or album and turn the Download toggle switch to on. You can find albums or playlists through search or the My Collection tab. To find all the content you’ve saved, open up the main app menu and tap Offline Content. 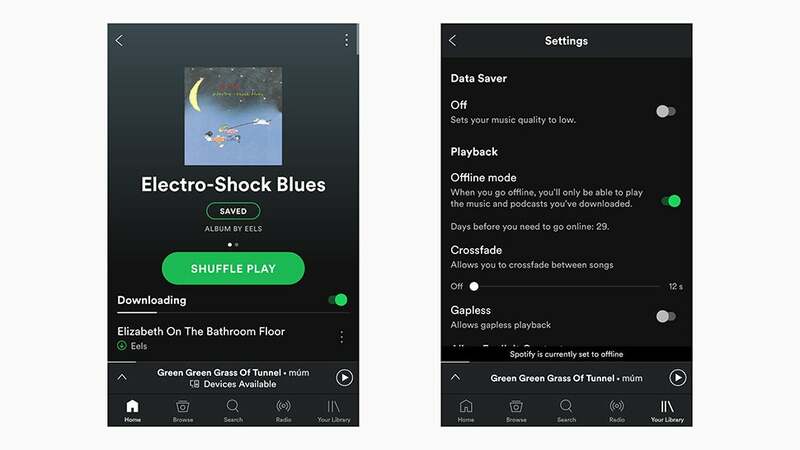 You can also force offline mode from the same menu, which limits what you can see inside the app to the playlists and albums you’ve already synced.